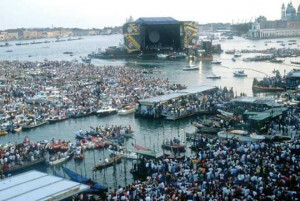 A concert combined with Redentore, it was 15 July 1989 – the night was unforgettable, who can imagine a stage for a rock band in waters in front of San Marco and the festival of the Redentore together. 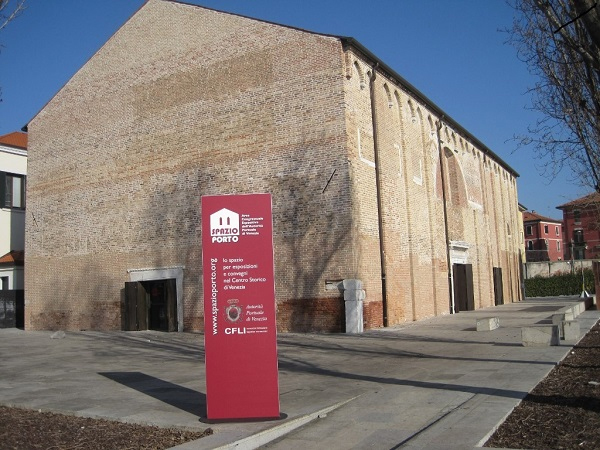 The Venetians protest was largely unheard as the promotor Francesco (Fran) Tomasi, the Vice President of the Venetian Council, Gianni De Michelis and Nero Laroni (commissioner) railroaded and bribed their way to securing the venue. It was supported by RAI and was broadcast live on TV to over 20 countries with an estimated audience of almost 100 million. The floating stage was towed an moored in front of San Marco Square. The concert was free to all who wanted to attend- what an invitation to the Floyd fans around Europe. You needed only a train or bus ticket to attend. 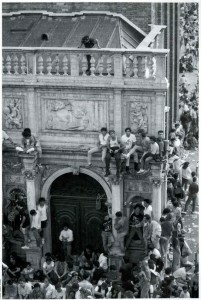 There were no public toilets, insufficient housing (many of the fans did not have money for hotels even should they have been available) so the crowds slept in the open square of San Marco. The Venetian police protested as they had not the personnel to maintain the peace. Stores were barricaded to protect their goods from looting. From all accounts it was a fantastic evening, even though the band agreed to lower the sound to avoid damaging ancient buildings. Certainly the setting could not have been more picturesque. Per the agreement with RAI, the concert lasted only 90 minutes and at the end of the last note, the acclaimed fireworks of the Redentore began. 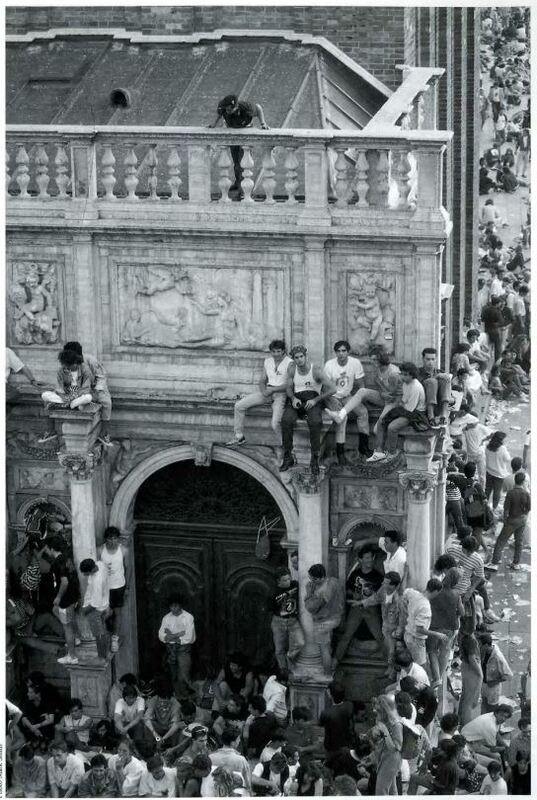 Unfortunately the fans defaced the irreplaceable buildings of Venice, defacing what has been described as Europe’s drawing room. Ancient monuments were damaged and used as toilets. And when it was over the fans left behind 300 tons of litter. After two days, the Army was brought to clean the mountains of trash. Lamp-posts were broken as fans climbed to get a better view and some building suffered damage. Disgusted with the lack of respect for the city and its inhabitants, locals staged a 7 hour sit-in at the City Hall shouting “Fools, scoundrels. Resign, Resign. 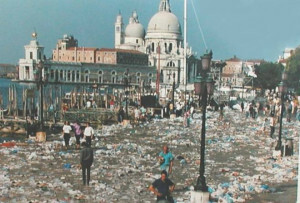 You’ve turned Venice into a toilet!” The Venetians wanted blood and in the end, the Mayor Casellati and the entire city council resigned. 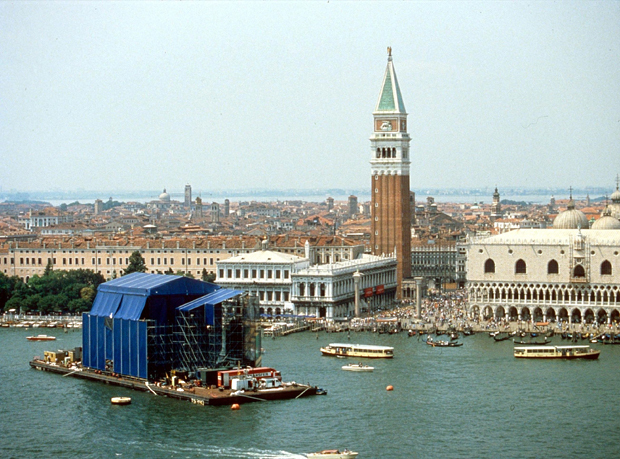 After this debacle, no one support the effort to bring the Expo 2000 to Venice as the affect of the deluge of tourist would have been even greater with a projected 30 million tourist over a 4 month period surging to as many as 500 thousand in peak tourist periods. 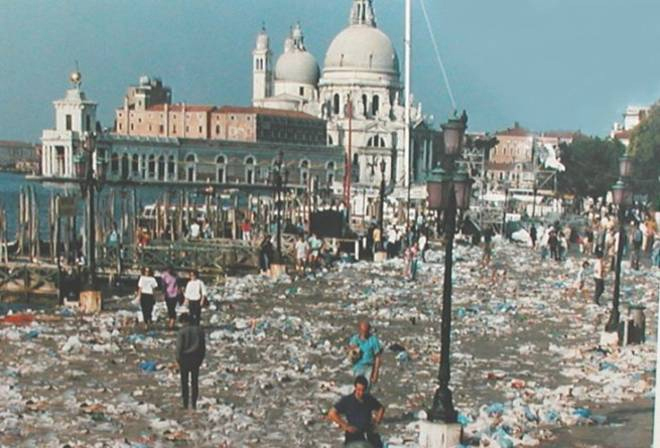 Opponents from around the world voiced their opinion that the mass of humanity would destroy the fragile environments of Venice. And luckily, Venice was eliminated from the competition so we never have to know what would have happened. 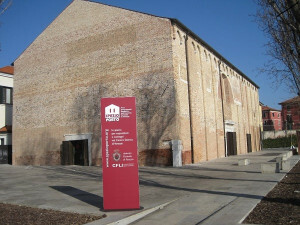 But the story isn’t concluded, a tribute to the 25th anniversary of the Pink Floyd Concert is open in Venice at the Spazio Porto, the former Santa Marta church and opened by no other than Fran Tomasi. Evidently there is no shame! So should you want to visit exhibit, it’s there until 26 October. But this time you will have to pay to visit. Greedy fools to deface such a beautiful city. I agree, but it was the city’s greed in accepting the concert, putting the city at risk. Much like today with the monster cruise ships. It’s complicated and the goals of many are in conflict, merchants, citizens, visitors who want to see this amazing city and those who wish to preserve it.